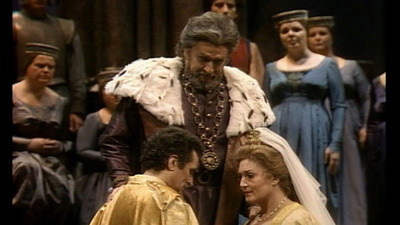 The great Renata Tebaldi leads the cast as Amelia in this memorable performance of Verdi’s drama, still a rarity on stage in the 1960s. 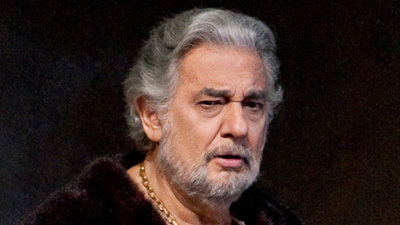 Anselmo Colzani is her father, Simon Boccanegra, the corsair who ascends to power as Doge of Genoa but loses the woman he loves. Reunited with his daughter decades later, he faces political opposition from her lover, Gabriele Adorno (George Shirley). Jerome Hines is the patrician Jacopo Fiesco, who is determined to destroy Boccanegra—and doesn’t realize that Amelia is his granddaughter. Also caught in the web of deceit and murder is the sinister Paolo, played by Justino Díaz.